How Athletic Do I Need To Be? 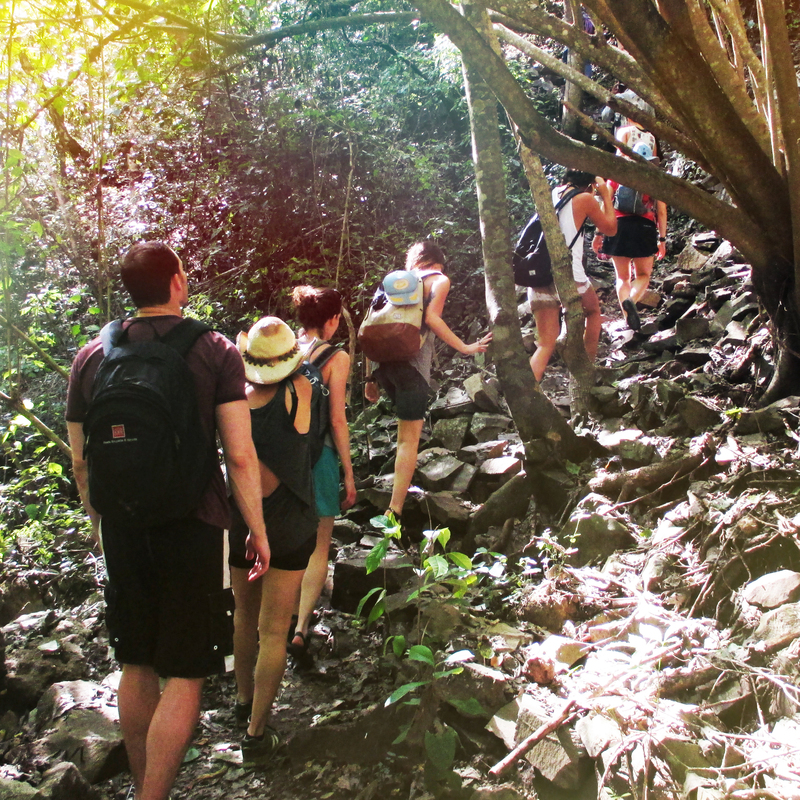 You should be in reasonably good shape in order to go hiking and swimming for the duration of the 4-5 hour tour. The water is cold, but the sun warms the canyon. It is recommended that you wear a hat for sun protection, use sun block and take some water with you. Take your bathing suit, be discreet, wear t-shirt and shorts if possible. Take a change of clothes, there is a room provided for changing before and after the tour. Tell the guide or us if you need to borrow ‘wet’ shoes, these are included for free. Hard sandals like ‘Tevas’ or trainers are suitable, but not flip-flops. Guides can provide ‘special soft wet shoes’ for those who don’t have good shoes or don’t want to wet boots/trainers, but you have to ask on booking due to limited availability. Life jackets are provided and must be worn for your own safety. Bring an extra pair of socks if possible to change into after the tour. Note: Your belongings will be protected in a dry bag, sealed, and carried above the guide’s head. Personal belongings can also be left safely in the care of the family at their house at the trailhead. What’s Included In My Tour? The price of the tour includes: Entrance fee, guide, lunch (vegetarian options available upon request), all equipment, tubes, safety kit, life jacket, wet shoes, etc., price of taxi (one way only) to the canyon from Somoto terminal. The entire tour takes roughy 4-5 hours, depending on the option you choose. You will typically leave Esteli on the 7:30am bus from the COTRAN NORTE, and return from Somoto by dinner time. Can I Take Private Transport? We can arrange a pick-up truck for groups or a 4×4 truck for private arrangements. Includes driver, gas, and truck. Ask for details and prices. Homestays – There are options to stay with local families at the canyon. Please ask for details. The price is only $20 per person to stay including 3 meals. There are up to 9 family homestays. Camping – Camp overnight at a lookout point for $2 per night. Take a trip to the stunning views, pine forests, and hikes of Tisey on the southwest mountains of Estelí. Breathtaking views of the Pacific coast, the volcanoes by Leon and Chinandega, also looking over to El Salvador & Honduras, and sunsets to dream of! Alberto Gutierrez, Finca El Jalacate –Alberto Gutierrez is a chatty hermit who has carved his memories into the cliff-face overlooking the Estelí valley. Tours can be arranged through TreeHuggers Tourism Office, but it can also be visited independently. Allow 2-3 hours. Access and entrance are difficult to find, but we hope they will soon improve! He provides a great tour, Spanish only, please offer to pay him $1-4+ according to your goodwill, he and his family are quite impoverished. La Garnacha – A mountain community with great views, diverse trails, big organic market gardens, and great swiss-style cheese! There are nice accommodations here. You can reserve a local family homestay, Don Reynaldo and Dona Adriana, who include two treehouses, their new open-air dining room between the trees, dorms and great food, plus tours with local guides. They make Swiss-style goat and cow cheeses in the mornings and welcome visitors to the centre. There are also organic vegetable gardens on a big scale for local markets. Organized by the community and their association (ASOPAN). Eco-Posada – Amazing views, gardens and trails! Another visionary family,with a love for nature and the organic side of life. They have developed attractive cabins and rustic dorms. They can be very busy on Sunday lunch due to the Esteli 4×4 crowd! Hitch a ride! How do I get to the Tisey Reserve? Come to TreeHuggers and pick up a free map! We can book homestays at EL Carrizo, great treehouses and fun garden planting. You can arrange a specialist Natural Medicine tour with TreeHuggers too! Take the local bus that runs twice a day early morning and early afternoon. The same bus goes up, drops off and returns straight away. To make a day trip of it, you should plan to leave early morning and return around 3pm in the afternoon on the bus. Hiking is far, it’s about 18km uphill, possible but for the more experienced hiker. You can hitch a ride ‘un ride’, please be courteous and offer to pay ‘ cuanto te debo?’ but you will never be charged. Use common sense and assess your ‘ride’. You will normally travel in the back of a 4 x4 . Private Truck 4×4, from TreeHuggers office, $50 a trip, can include the Salto Estanzuela Waterfall and La Casita, 2-8 people, ask for other prices. Take return buses from San Nicolas/Empalme Rancho Don Luis, a 30 minute walk, with buses all day to + from Esteli. We can arrange a pick-up with Don Reynaldo. Weather can vary. It can be very windy and cold, take jackets, walking shoes, water, layers, and sunscreen. Cash for all entrance fees/accommodation, no internet or credit cards. TreeHuggers can arrange a guide from the community, no charge, just the cost of the guide. How do I make a reservation at La Garnacha? Reservations are arranged through TreeHuggers for overnight stays and day tours at La Garnacha. How do I get to La Garnacha? Take the Tisey bus, times at TreeHuggers, but remember there are no buses on Wednesdays! Tell driver / ayudante to stop at La Garnacha junction. Also look for the sign. From there it’s easy to reach, just a 15-minute walk off the road. Well signed. Local family homestay with Reynaldo. Includes 3 meals. $20 p.p. The Eco-Posada is an attractive, rustic, purpose-built centre. Nica cabins and great food. Great trails on site and kitchen gardens, ask for Franklin. What are the accommodation options? Home-stay / Dorm C$150 p.p. Miraflor consists of three distinct temperature and ecosystem zones, with the lowest zone being only a few hundred meters above Esteli and the highest zone rising up to 1400 meters. With dry weather and warmer temperatures, this a great place to explore the waterfalls and the river in the area. Don’t forget to pack your bathing suit if you plan on visiting! It has pockets of virgin forest and a lot of secondary forest grown up over the last 50 years. Many families grow coffee and orchids are abundant in the rainy season. The region is undulating and lush in the rainy season without remaining damp or foggy throughout the daytime. The dry season, January through April, becomes very dry. This zone provides great hiking, amazing views across the valley and overlooking Esteli, and the best variety of interest for bird-watching. Rising up to 1400 m, this region remains green year round, with many larger areas of virgin forest. But also many forested areas for cattle and crop farming. On wetter days, the fog/drizzle/rain can stay most of the day. Be prepared, this area is considered a cloud forest! There is much bird-life and many areas of interest for nature lovers. As for clothes, shoes, fleeces, t-shirts, and layers. Don’t wear shorts, bring long pants (trousers) for hiking and hanging out at the homestay. Take sandals for night trips to toilet and boots for during the day. Local thrift stores (known as “Pacas”) sell jackets for often no more than 100 cordobas (US$4). Nights are cold, the wind gets strong and its rains most nights in the high zone. Local houses have gaps below the ceiling and it becomes cold inside although blankets are provided during your stay. In Miraflor, there is no viable trash disposal. It is best dealt with in Esteli, where there are plastic bottle and aluminum can recycling projects. Please bring back as much of your non-organic trash as possible. Plastic water bottles, trash wrappers, plastic bags, plastics, cigarette stubs, cans, etc. Personal security is never in question in Miraflor. However, to avoid hassle, steer clear of the drinking groups and youth, mainly on Sundays. Your belongings should always be safe at your homestay/cabin. But we suggest you don’t show off or leave your camera, smart phone, or digital palm-top/music player*, or even fancy flashlight lying around or in other areas, like in schools or pulperias. *Keep these items close to you on the bus. We are aware of thieves robbing on the “Yali to Esteli” bus, going inside your backpack, or pickpocketing. They’re professionals, so keep your belongings close to you just in case. All land in Miraflor is private, so please respect that. Do not wander around alone if you have not been told the route. Also keep in mind that while hiking you may be asked to pay a small fee (10-20 cordoba) to pass through someone’s property, so take small cash with you. There is a lot more to know and learn. 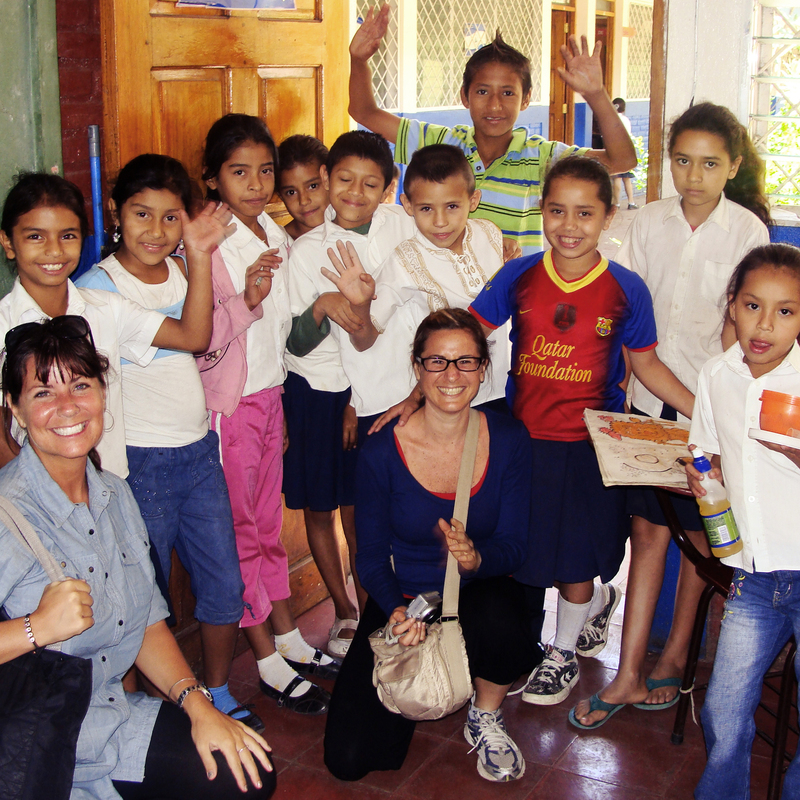 Guides and homestay families will help you out and are a great source of knowledge in the area. The historical socio/economical background of Miraflor residents has shaped it to what it is today and they love to share this with you. 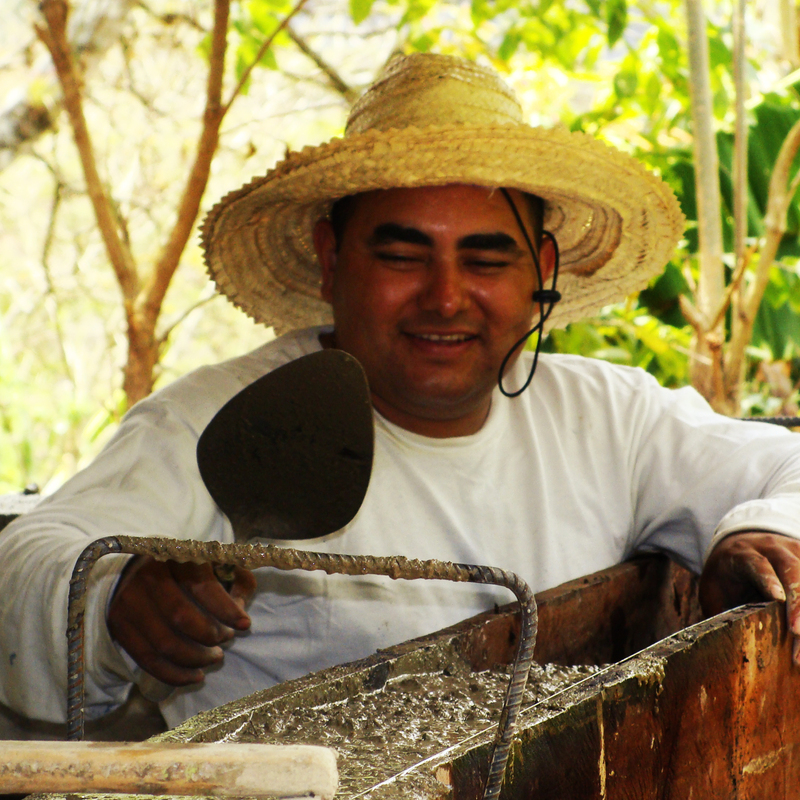 Many of the Miraflor families have been working with tourists for over ten years. While they are welcoming, kind, and accommodating, it is best to follow the directions or advice of your guide and homestay family. While theft or other issues are rare on Miraflor tours, it is best to be smart and take precautions as you would anytime during travel. Enjoy your trip, we wish you many happy memories! Stop by the tour office to rent one of our bicycles so you can cruise around town, ride out to some hidden local attractions, or go see the murals of the city at your own pace! Bike rentals are per day, you can stop by to grab your bike any time that the office is open from 8am to 8pm. Please bring a copy of your passport with you. Traveling by bus is the budget option of most travels, but it bus schedules and routes can be confusing if you’re new to Nicaragua. To help you out on your trip to Esteli we’ve put together some information on the buses leaving from Esteli. Please don’t take this as being guaranteed, schedules change all the time due to weather and other unforeseen events, but this should help you with your trip to Esteli. Their office is up the spiral stairs. Contrary to the name, the office is in fact in the southern part of Esteli. Note: To ensure a seat always arrive at the station 20-30 minutes ahead of departure times. There are no prior ticket sales here. Get on the bus and sit! Note: To ensure a seat always arrive at the station 20-30 minutes ahead of departure times. A fascinating guided tour of the many varied murals of Estelí, including those related to the revolution and activism, educational murals and children’s murals. An ideal way to learn about the history and culture of the city, past and present, while getting to see some beautiful art. Tours are possible in Spanish or English. Reserve the day before in the TreeHuggers office for a morning tour. For an afternoon tour you can book the day before or the morning of the tour. Meet at Café Luz at least ten minutes beforehand. $10 US per person, please pay at Café Luz. Discounts for groups of 5 or more. Touring the factory is a great way to learn how cigars are being meticulously handmade, the old fashioned way, by skilled Nicaraguan workers. These are some of the best cigars in all of Central America, so don’t miss out on this amazing tour. While you’re there you’ll get to see the detailed work of rolling, shaping and packing cigars, as well as sorting, drying and processing the leaves, and so much more. And of course you’ll get the chance to try a few before you leave! This is a must for any trip to Nicaragua, and especially any trip to the wonderful mountain city of Esteli. Which factory will I visit? Currently Fabrica San Luis, Cuban owned boutique factory. (Tabacalera Santiago has recently been sold and changed hands and no longer permits tours, 9/16). We have alternative visits to complement this tour. Plantation visits can be arranged and are very interesting (not available in heavy rainy season). Specialist tours can be arranged in advance, however they do not accept visitors from January thru March. How do I arrange a tour? We can arrange a tour 1 day ahead, all by arrangement with TreeHuggers Tourism Office and Cafe Luz. Tours run Monday to Friday, notweekends or holidays. Tours leave 9am or 1pm. Please meet at Café Luz 10 minutes before tour, and pay in advance. You will be met by the guide there. How much does it cost and what does it cover? Tour costs $8 per person including the guides. 70% of the cost is donated directly to education projects; thru 2011-2016 these tours helped us buy over $7,500 worth of books and education materials. We now have 3,300 books (our goal is 10,000), to loan to the rural schools and children we work with. To arrange your adventure please come to the TreeHuggers office – just across the road from Luna International Hostel. Includes – Lunch, entrance fees, tours, one-way taxi (either arriving or returning to Somoto), equipment, and arrangements. Trip involves – A circular route for walking, hiking uphill and down, canyoning (rock scrambling, wading, floating, swimming, jumping & diving (optional) into river (1-2 meters minimum, higher on request up to 20 meters if conditions are suitable. Includes – All of the above with additional hiking and rambling/hiking near the headwaters of the Rio Coco and the Honduran border. Includes – All the features of the Standard Tour with an easier walk there and back, views of the lower canyon but avoiding the jumps and harder scrambling in the upper canyon. Ideal for children, non-jumpers, and those/or seniors with physical limitations. Riding Tours are available not in the canyon, but around local viewpoints and across cattle farms in the area. To arrange your adventure please come to the office – just across the road from Luna International Hostel. Miraflor is one of Nicaragua’s finest Nature Reserves, rich in plant and animal life, it’s a top destination in the lush Northern mountains of Nicaragua. But what makes these tours particularly amazing is the chance to meet the people that live and work in Miraflor. The Reserve is home to over 50 different communities where the people farm and grow Nicaragua’s best coffee, among other things. By booking with us you have the chance to stay with these families, learn how they still make tortillas and coffee by hand – the old fashioned way. Or get a tour of an organic farm, be taught natural medicine from the Doña of the house, check out the nearest mirador to watch the sunset, or simply practice your Spanish with some of the humblest and sweetest Nicaraguans around. You can stay the night in family homestays, or in beautiful rustic cabins in any one of the 3 climatic zones. Conditions are basic, compared to modern “western” standards but the experience is more than rewarding. Local guides are necessary to hike or ride, due to all the trails crossing private land. Groups are also welcomed, and private transport can be arranged, but local buses are the best way to be taken up to all the communities. Miraflor is a great experience for everyone (ages 0-80+), and it’s brilliant for children! These are the most welcoming people in the free-est of places in this hemisphere. Please visit TreeHuggers Tourism Office first. This is essential to learn about all the accommodations across the 8 participating communities (There are 54 in Miraflor) learn about your options and what to expect. We will give you information in English or Spanish, a map, bus times, names and contacts and an objective assessment of what to expect, the conditions, clothes to take and a reality check outside of what the guidebooks ever tell you. We’ll help you book your local guide, accommodations, and more! Bring suitable clothing; good shoes and jackets/fleeces for the evenings, it can get windy and very cold, depending on the weather. Yes, at TreeHuggers we work in coordination with the Miraflor homeowners to take your bookings, and arrange your tailor-made trip according to what you would like to see. There are 3 different bus routes, 8 communities to stay in, over 16 families you can stay with, dozens of natural attractions, specialized guides, and much more. It may sound like a lot, but at TreeHuggers we’ll help you design the perfect Miraflor tour for you. Cabins cost $24 for 3 meals and a night. Private enterprises start at $30. Guides cost $15 per group. Horses are only $10 p.p. plus cost of the guide’s horse & guide. C$30 cords can be charged for some hiking routes across private land. Somoto Canyon is a stunning natural wonder best explored via tours involving hiking, swimming and scrambling through the canyon as the sheer rock face ascends 100 metres above you. Release your inner daredevil and jump off the 5-meter, 8-meter or the massive 12-meter ledge (optional of course) and plunge into the deep emerald pools of Somoto. At the end of the tour you can hop in a boat or lazily float in a tube downriver. 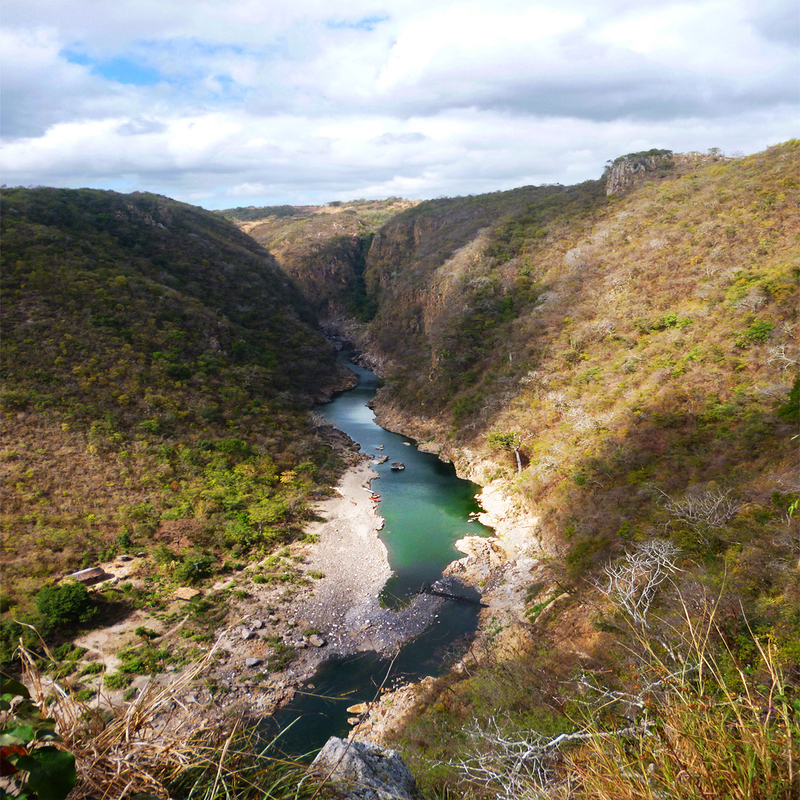 Somoto Canyon was first “discovered” by European scientists in 2004 and declared a national monument the following year. Since then, a local guide organization has been established and Somoto Canyon has become a vital source of income for the community that runs tours to the canyon. We work closely with experienced local guides who are trained by Intur, the national tourism agency, and the community to book you the best tour possible. The money from the tours provides income for up to 15 families in Somoto. To get there: Take the 7:30am bus from COTRÁN NORTE, north terminal in the south of Esteli. The trip takes 1.5 hours to the town of Somoto. Your guide will meet you at the terminal. The express return bus leaves at 3:15pm and the last bus is at 5pm. Included are local experienced guides, lunch, life-jacket, wet shoes, a large group waterproof dry bag, entrance fee and transport from Somoto bus station (but not return). Lunch is provided after you finish the tour. Bring: Water, snack, camera, hat, suncream, shorts and trekking sandals. This takes you on an easy walk to the lower and most stunning section of the canyon and is ideal for children, non jumpers, or those with physical limitations. Included are local experienced guides, lunch, life jacket, wet shoes, a large group waterproof dry bag, and transport from Somoto bus station (but not return). Lunch is provided after you finish the tour. Riding tours are available around local viewpoints and across cattle farms in the area but it is not possible to ride through the canyon. There is home stay accommodation near the canyon. The price includes 3 meals. Camping form US$2 per night available at a look out or near the River Coco. The guides will arrange taxis to the bus terminal in Somoto or to the Honduran border at Los Espinos and buses for you. They can even organize and make reservations for most major tour company coaches to stop at the trailhead if you are travelling to Honduras and beyond. Just ask even if you already have your tickets or reservation.